A long month of waiting, rising tensions and utter silence has passed. The stakes are high, and the fate of the harmonium radiation research team is still unknown. The CCPP decides to send one of the best agents – you – to find out what transpired. As you land on the frozen mountains of Iceland, a mysterious helicopter passes above you. CCPP didn't send reinforcements, and the question arises – did someone else find out about the important research of your scientific team? As you traverse the narrow pathways and ice coated cliff sides, you will discover the findings of your scientists, and their conclusions will be borderline impossible. The investigation will pull you deeper into the research of harmonium energy, its possible uses… and abuses. Prepare yourself for a journey that will change your life and your perception forever. 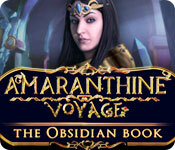 Amaranthine Voyage: The Obsidian Book is rated 3.6 out of 5 by 16. Rated 5 out of 5 by biscuitsmama from AN AMARANTHINE VOYAGE TO FIND THE HARMONIUM Amaranthine Voyage: The Obsidian Book is the fourth game in the series. In the Obsidian Book you have been called upon to find missing professor Samantha Bennett, a physicist who has been investigating Harmonium. Dr. Bennett and her team have not been heard from recently and it is feared that something has happened to her. Off you go to Iceland to see if you can locate Dr. Bennett. As you are about to reach her camp settlement, a helicopter flying over your location causes an avalanche so now you must find a different way to the encampment. I have all of the other games in the series and was slightly disappointed when this one didn’t seem to be quite as good. I was very involved in the demo but it seemed to end quickly and of course with a cliffhanger I needed to purchase the game to find out the rest of the story. Did I like the game? The answer is yes and it turned out to be much better than I thought. What I really enjoyed was the bit of sci-fi where we go through a portal to another world as we follow our leads. The graphics in the game are absolutely excellent and at times colorful. Hey, the beginning of the game is snow and ice so it was nice to find that “other world”. The game has the usual four modes of gameplay with the custom being the newest mode to be offered. I like fiddling with the various options particularly since I can turn off the tutorial and the sparkles. I like to take my time and figure out what to do next and any glints seem to make the game too easy. The HOPS are very enjoyable and well-designed. There is a variety of style as well but if you don’t want to look for items then you can switch to an alternate Bubble-Popper game. Even though the HOPS are very entertaining, the puzzles are even better. Even though most of the puzzles are fairly easy, I still found them fun to solve. Since I love HOPA games and the genre, I am not hard to please when it comes to the individual games. For me a great storyline and fun gameplay are what I look forward to the most. I found the Obsidian Book to be a perfect game for me and the way I like to play but, as always, please try the demo to see if this is a game you will enjoy. Happy gaming! Rated 5 out of 5 by ninja226 from Excellent game but blurry video cut scenes I loved this game, but good grief, Eipix needs to update their intro and make all video cut scenes HD. The game, although good, is going to look dated a few yrs from now. There is a lot to do in this game. Puzzles are easy. Sleuthing aspect is excellent. Story is excellent and easy to follow. You will have to use an amulet for certain tasks, such as mending, cleaning, and changing phases, but amulet will not work until you have acquired enough crystals to power up amulet. Also you have a helper friend to obtain items up high. He is kind of cute, but disappears in middle of game and reappears towards the end. A great buy. Rated 5 out of 5 by denniann2 from looking for an evil woman trying to dominate the world a custom level and interactive map. you are eve and sent by the CCPP looking for another person who is researching harmonium. you have the help of another man and then a man of that world. his world is being taken over by this evil woman. you have to fully charge the harmonium object throughout the game to beat her at the end. sequel...i would say so.. Rated 4 out of 5 by Yanie1020 from A Little on the Short Side 3 1/2 stars for me. I was really enjoying it and hoping it would go on for a long time, but it ended up being quite short. Some different puzzles that were fun. Voiceovers were okay except for the squeaky annoying guy. HOS's were more fun than usual with some different twists. For me, a 5-star game needs to have decent length and a little more challenge. Rated 4 out of 5 by deddu from The Obsidian Book You are tasked to keep the book out of the wrong hands. 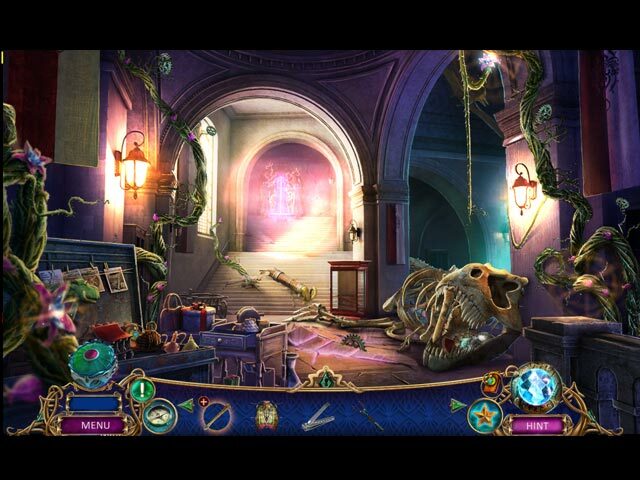 I liked the variety in the hidden objects: you find five of one kind and it opens up another set to find. The mini-games are good and some have a story panel. You can also chose a bubble popper as an alternative to the hidden objects. As usual you have a map, and task list. The hint key in relaxed mode is fast to build and in some cases you can teleport. There is a Harmonium collector that contains crystals (that you find along the way) so that you can mend, phase or cleanse certain places in the game. I liked the flow of the game as you did not do a lot of backtracking. Rated 4 out of 5 by pennmom36 from The Book of Obsidian Professor Samantha Bennett has been on assignment with the Center for Control of Paranormal Phenomenon (a.k.a. CCPP) in Iceland. When the CCPP lost all communication with the Professor's team, they sent Eve Glover, their finest agent to investigate. Dr. Bennett discovered a powerful element called Harmonium, a energy source that binds the entire universe together! The professor has been unsuccessful in her attempts to stabilize Harmonium use to open portals into other worlds using a Harmonium Extractor. Professor Bennett isn't the only person interested in this portal, stable or not, Dr. Schroder will stop at nothing to obtain possession of the Book of Obsidian, an otherworldly all powerful and dangerous book.....in the wrong hands! I was a little disappointed with this Amaranthine Voyage, not surprising because in my opinion, the original is a hard act to follow. You will find the Harmonium Collector that Professor Bennett was studying, and as you collect chunks of Harmonium radiation, this wonderful device will give you powers of mind bending, Phasing and Cleansing which will be a necessity in our world as well as other worlds you visit. Some of the items have plus signs indicating further interaction is required before you can use that item. The Collector's Edition has 40 Collectible Books to discover, several Achievements available to earn, as well as collectible Morphing Objects. 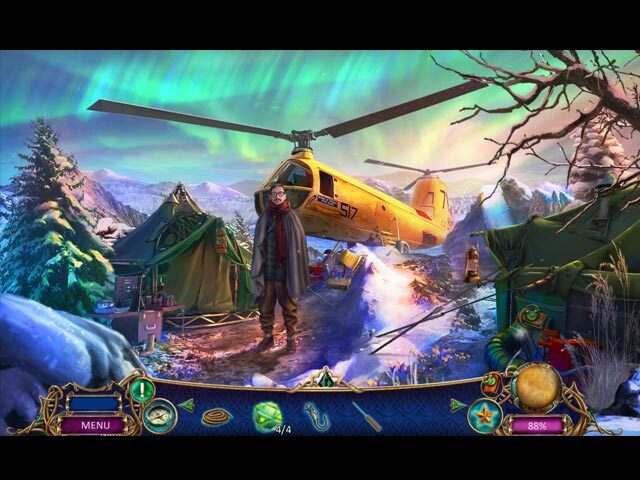 The Hidden Object Scenes were very well done, some requiring you to find several of the same kind of item before you can access the listed item finds. There are even clues given on stone tablets such as a Caterpillar and a Clock which translates to a butterfly! There is an alternate Bubble Shoot game available in place of the HOP's. The Mini Games are pretty simple, click on matching symbols and pictures, or shoot an arrow when the rolling ball enters the bullseye. The puzzle I enjoyed the most was placing different colored and shaped wire connectors onto the board so that none of the wires crossed paths, and then swapping the circuits until they lined up, but even that game was super simple. The Collector's Edition has 21 different Achievements, replayable Mini Games and HOP's, 40 Collectible Books, Morphing Objects, Bubble Shoot Games, a Souvenir Room, the Making Of, Movies, Music, Pictures, a built in Strategy Guide and a Bonus Chapter, enjoy! Rated 3 out of 5 by Firehorse66 from Could have been Great! Way too many HOPS! and they weren't very interactive, just clickity click until it's over. This ruined the game for me. The adventure was great, loved the story and places and the things to do. But is wasn't enough because of the awful hops. I chose the SE because I know it would drive me crazy. Also, the MAP was horrible!!!! it never took you where you needed to do something, it was a total joke of a map, plus it wasn't user friendly. Very disappointed in what could have been a great game. Rated 3 out of 5 by PATinPNS from Obsidian ... Lost I cannot believe this came from the Eipix folks. I played the demo, which I found lacking, but going on their name, I purchased it, just knowing it was going to get better. It didn't. I found this to be quite... abnormal for them and lacking in the fun department. It was okay, but to say I enjoyed playing the game would not be right. Maybe I'm just not a fantasy kind of person would be a reason. As usual the graphics and sound were well done. Still don't understand the need for the voice over panels, but that's their style and I've grown to overlook it. The colors in this magical world were beautiful and the music, was okay. 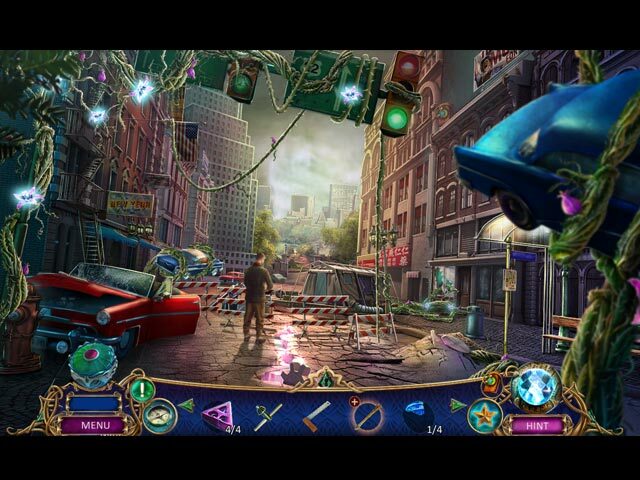 There are numerous kinds of hidden object scenes. Really too many to mention here and several were ones I have not seen before. There are lists, matching, you name it they put them in there. I do believe I used my hint more on this game than any I've played. Mini games are not my strong side and there are a lot of them. Some pretty involved. I tried to play, but got exasperated at trying and hit that wonderfully fast filling skip button. To me, all the games were challenging. You have an interactive map which shows where you have things to do and will transport you to that location. The hint charges quickly on the normal setting, but there are several settings to chose from if that is too simple for you. I won't go into a description of the story, because Big Fish gives you enough of that. All I can tell you is I was lost from about the beginning. There just didn't seem to be the continuity I've come to expect from these designers. One day, I will play this again and it will probably be as clear as can be, but right now all I can say is it just didn't hold together. Now, with all these negative things I've said, you would expect me to say don't buy it, but there are those who enjoy fantasy and this might be right up their alley. Give it a try, you might like it. Enter the role of Eve Glover, one of the best CCPP's agents, sent to investigate the lack of radio communication from your scientific team on Iceland, researching harmonium radiation.